A biologist specialized in ecology of pollination and in the mesmerizing world of flower color and scents. Currently a postdoctoral researcher in the Institute of Agricultural Sciences at ETH Zurich, Switzerland. 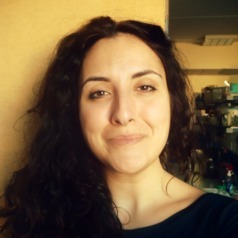 Her main research interests include the evolution and functionality of floral sensory stimuli in Mediterranean ecosystems. Loves crime novels and can't stay for long without doing theater.